I followed this excellent tutorial from Black Magic Craft on youtube: A great Youtube channel by the way. The main material is foam board. They were relatively quick to make and I like the fact that the bricks appear uneven: perfect for a dungeon or ancient ruin. Again, old stuff in this post. But not THAT old. 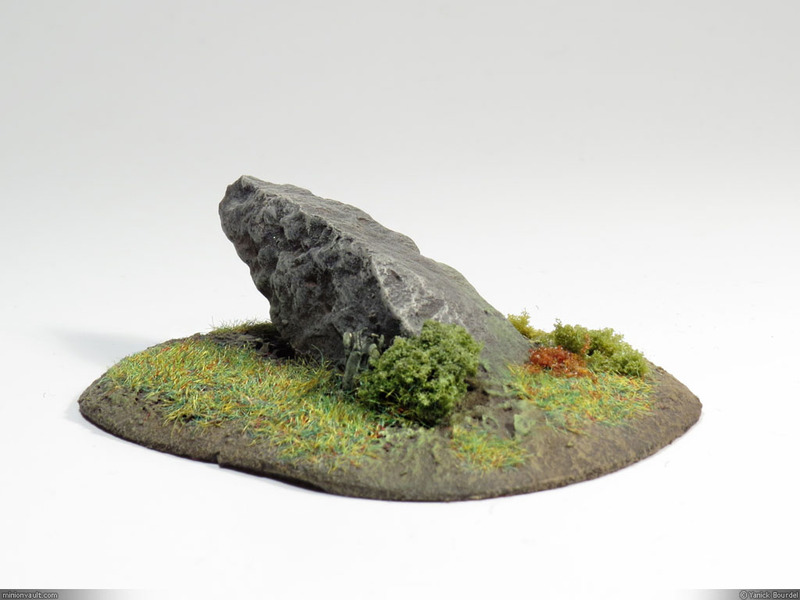 Here are houses terrain I made a few years ago. We use these on the game table quite frequently. 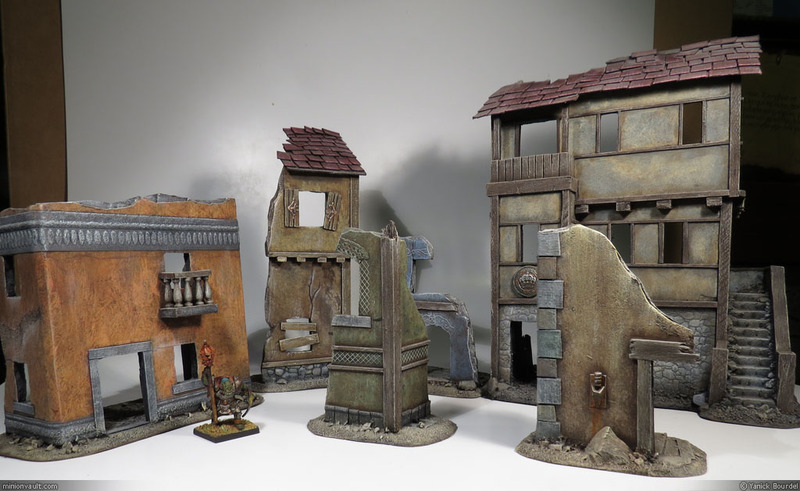 Ruined houses like these are quite easy to make (I should create a step by step post about house building). They are made mostly from foamcore boards, cardboard and wood (both pine and balsa wood). These are very good beginner projects. But even for old gamers like myself, they’re quite pleasing to build and easy to paint (painting is mostly dry brushing). You can make tons of them in a single weekend! And they look great on the gaming table! 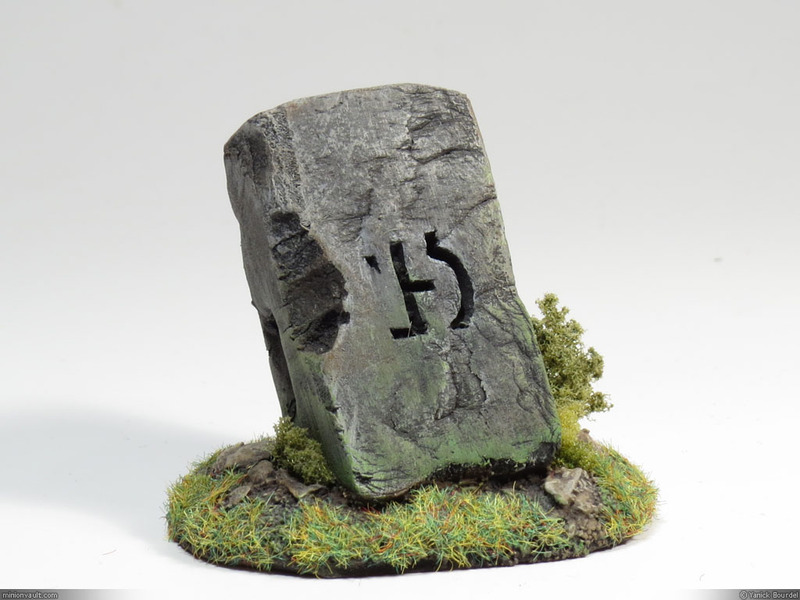 Simple game prop. About 1 inch tall. Simple game prop. About 2 inches tall.